In the 2018 MAMA in Hong Kong, the artists who made great achievements in 2018 will be recognized. Among the major awards are Artist of the Year, Song of the Year and Album of the Year. For the second time, the 2018 MAMA is taking place in three locations. The first part of the 2018 edition of the ceremony organized by CJ E&M through its music channel Mnet took place at the Dongdaemun Design Plaza in Seoul, South Korea on December 10, 2018. 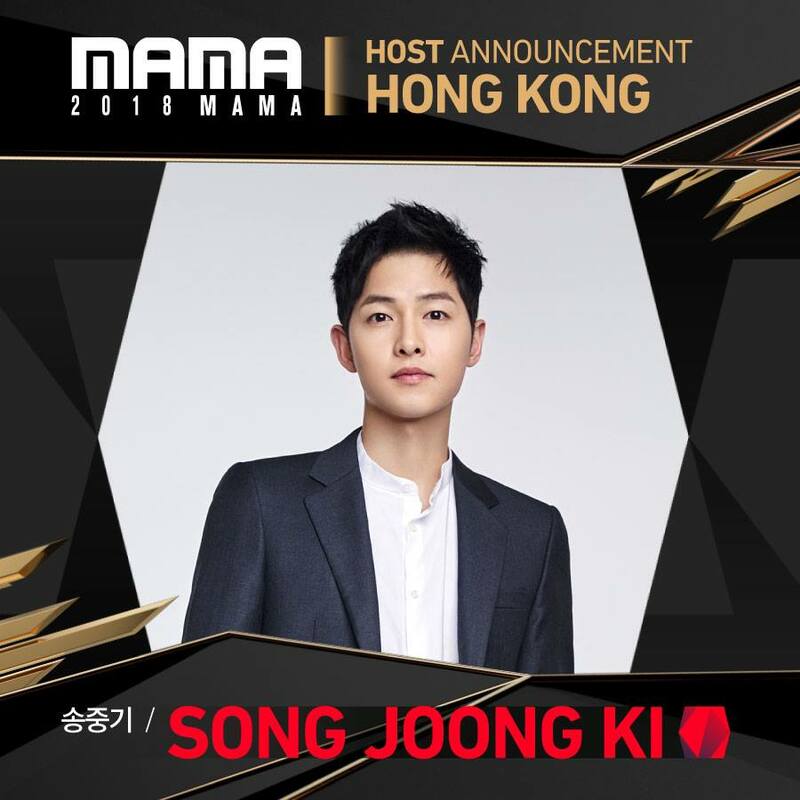 Titled 2018 MAMA Premiere in Korea, the first part of the event was hosted by “Something in the Rain” star Jung Hae In. He was joined by several other presenters namely Kang Seung Hyun, Kim So-Hyun, Kim Yu Ri and Hong Jong Hyun. On December 12, 2018, the second part of the 2018 MAMA took place at the Saitama Super Arena in Saitama, Japan. Titled the 2018 MAMA Fans’ Choice in Japan, it was hosted by Park Bo Gum. Park currently stars in “Encounter” opposite Song’s wife Song Hye Kyo. The TV series premiered on tvN on November 28, 2018 and it airs on tvN Wednesdays and Thursdays. Airing on tvN, “Asadal Chronicles” is written by Kim Young Hyun and Park Sang Yeon and directed by Kim Won Seok. Its premiere date has yet to be announced. The story of “Asadal Chronicles” revolves around the power struggles in Asadal, a mythical city in Korean mythology and history. The mythical city is the capital of Gojoseon, the kingdom of founded by the legendary god-king Dan’gun. With Joong Ki, the main cast of “Asadal Chronicles” includes Jang Dong Gun, Kim Ji Won and Kim Ok Vin. “Misty” alum Choo Ja Hyun will make a special appearance in the upcoming tvN series.